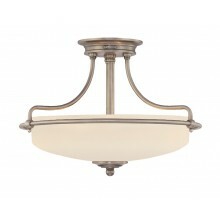 This light fixture is a four light setting that fits semi flush against a ceiling. 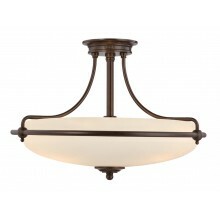 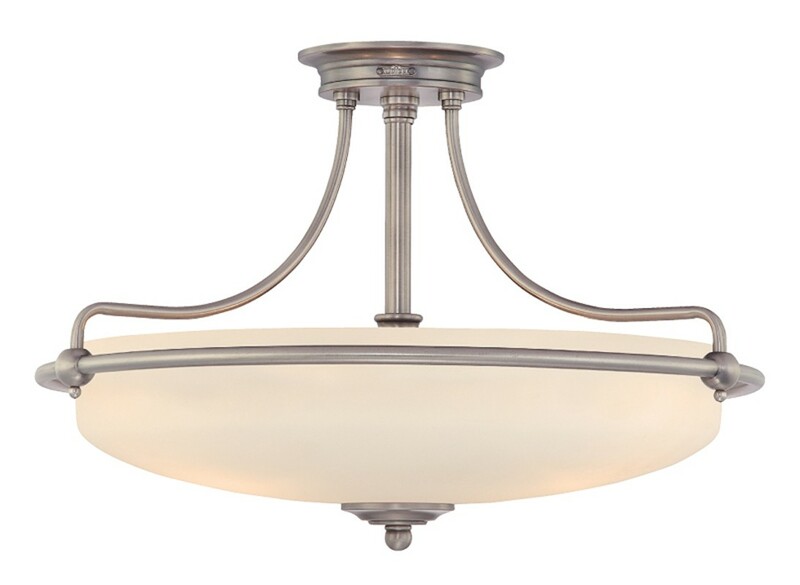 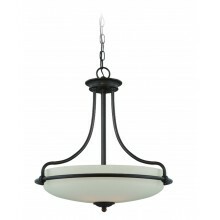 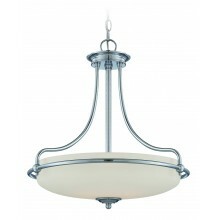 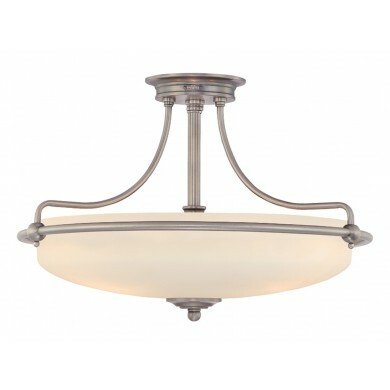 Its design is simple and elegant, consisting a basic ceiling mount and antique nickel frame. 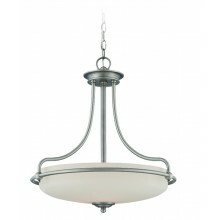 The four 100w bulbs are covered by an opal coloured etched glass shade, which leaves no exposed bulbs. 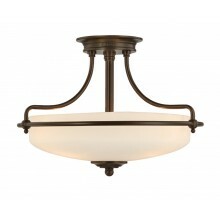 This fixture will create a sophisticated and stately air in any hallway, entryway, living room, dining area, bedroom, or office space in which it is installed. It can take three 100w bulbs which are sure to light up a room and leave no dark corners.